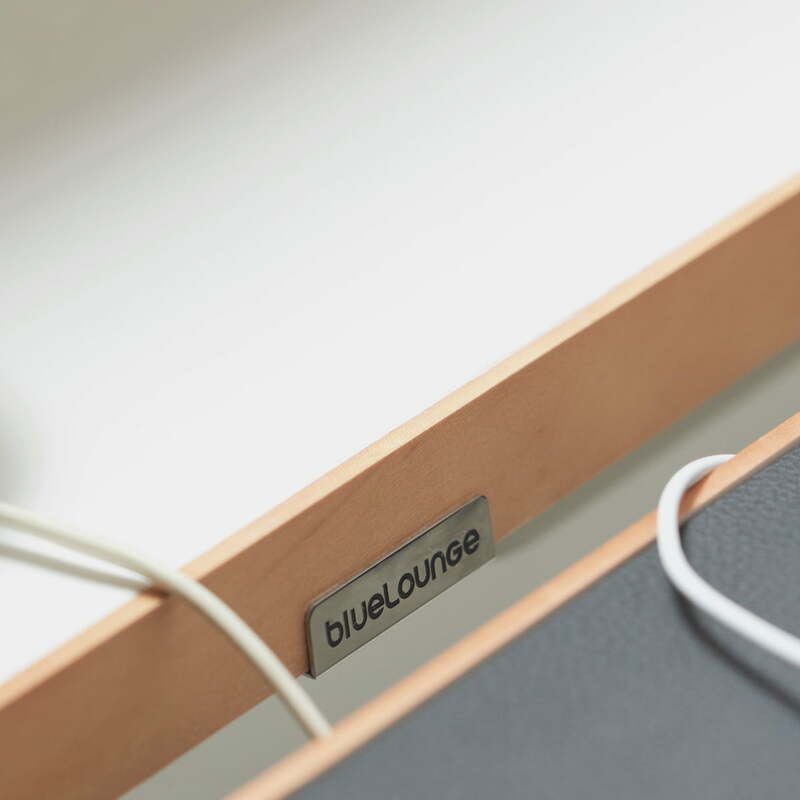 A fully-equipped workplace in a modern design without cables and aggravating chaos: Studiodesk by Bluelounge makes it possible. 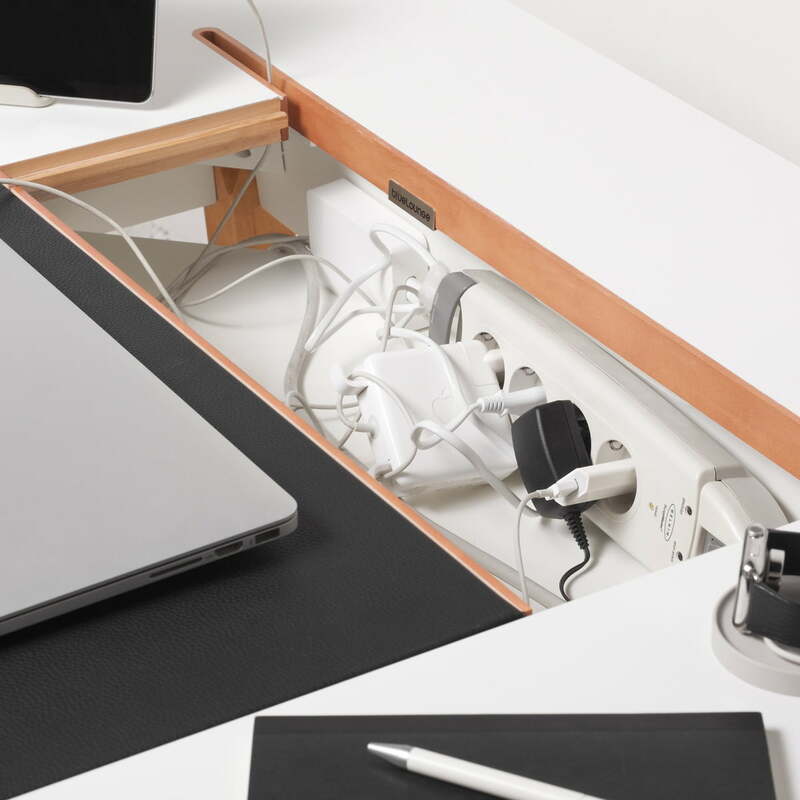 Cables, connections and laptop plugs, mobiles and other devices disappear in the inside of the StudioDesk. 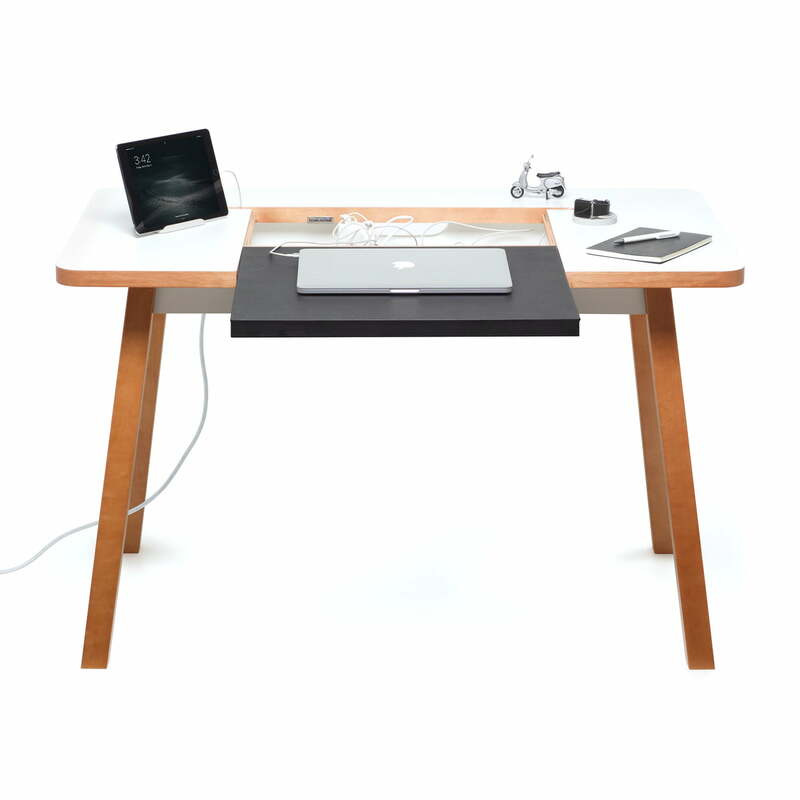 This is made possible by the box in the inside of the table and the extendible surface. There, where the laptop normally is, is a movable element, which covers the spacious box. A long multiple socket inside the box means you can plug in several devices. 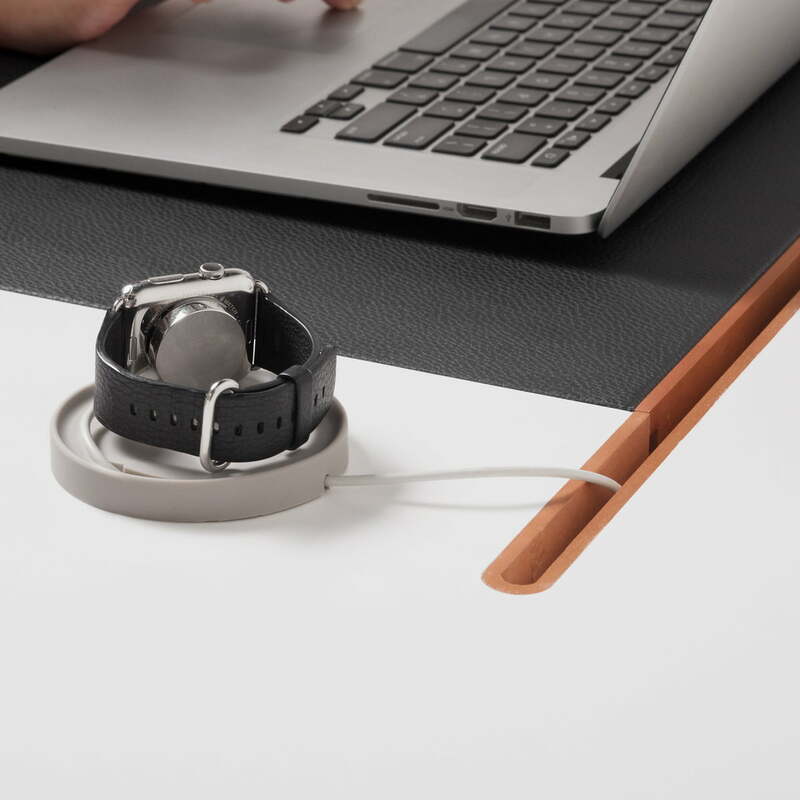 The devices work without any problems and the cables are banned from the desk surface. 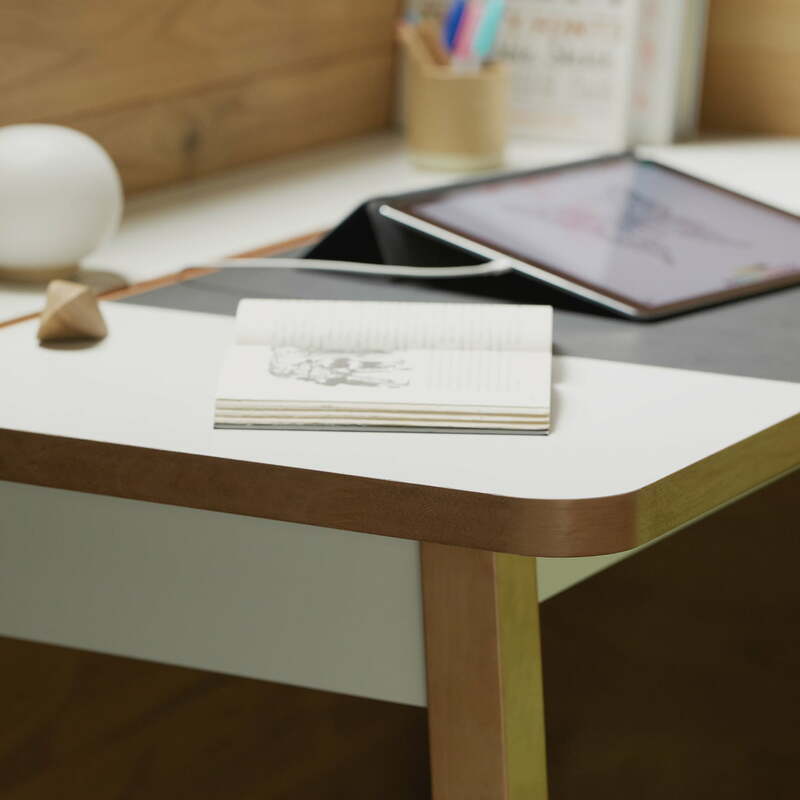 This does not only make it neat but also displays the modern devices’ designs to advantage without cables interfering. Cables, plugs, adapters, USB connections, external hard drives, routers and even small servers with all their cables have room in the hidden box. Only one single cable comes out of the StudioDesk, which has to be connected to the power socket in the wall. All other cables remain invisible. 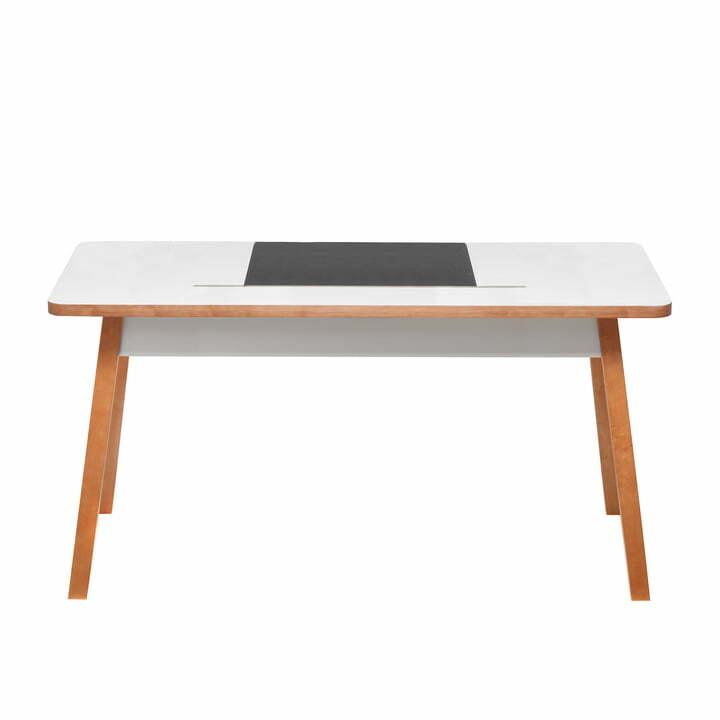 The StudioDesk can be used for the office and for your home. 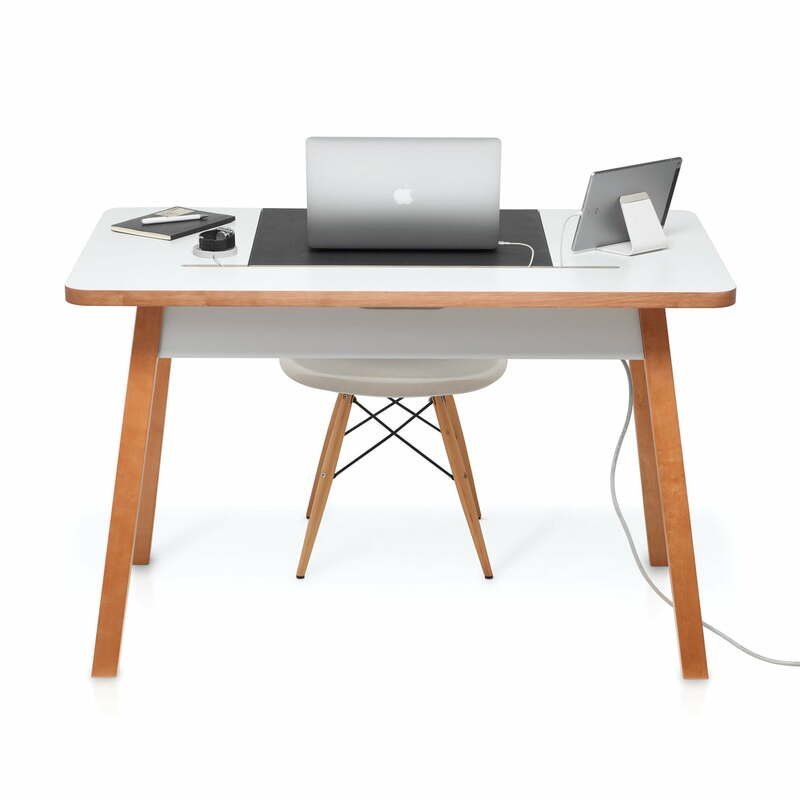 It is a traditional desk with a modern trick. 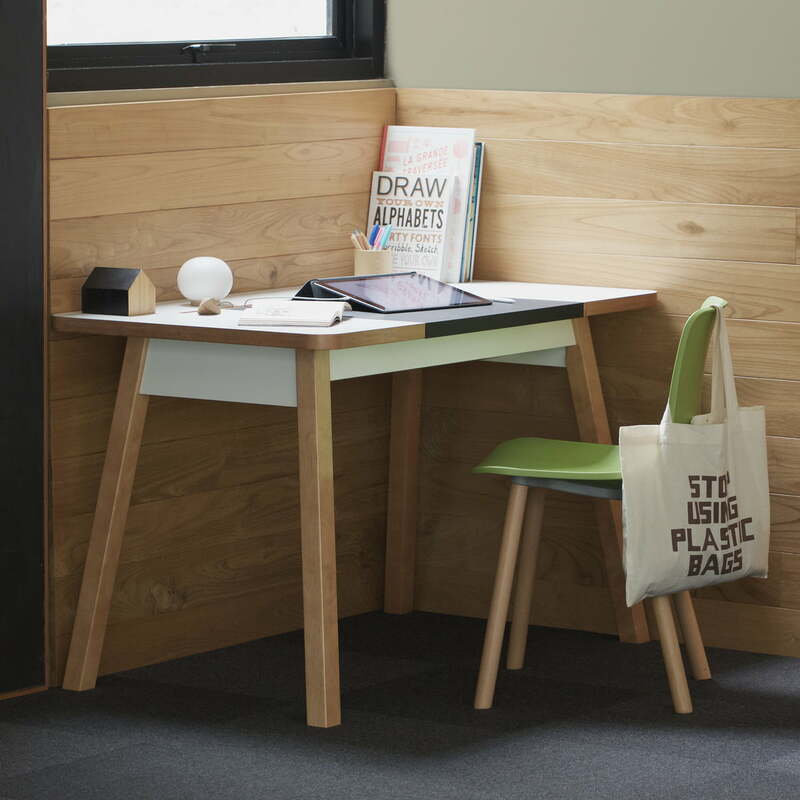 The design is absolutely functional and enhances every workplace. The innovative design is complemented by the elegant appearance, which wins you over with a combination of light shapes and luxurious mahogany. 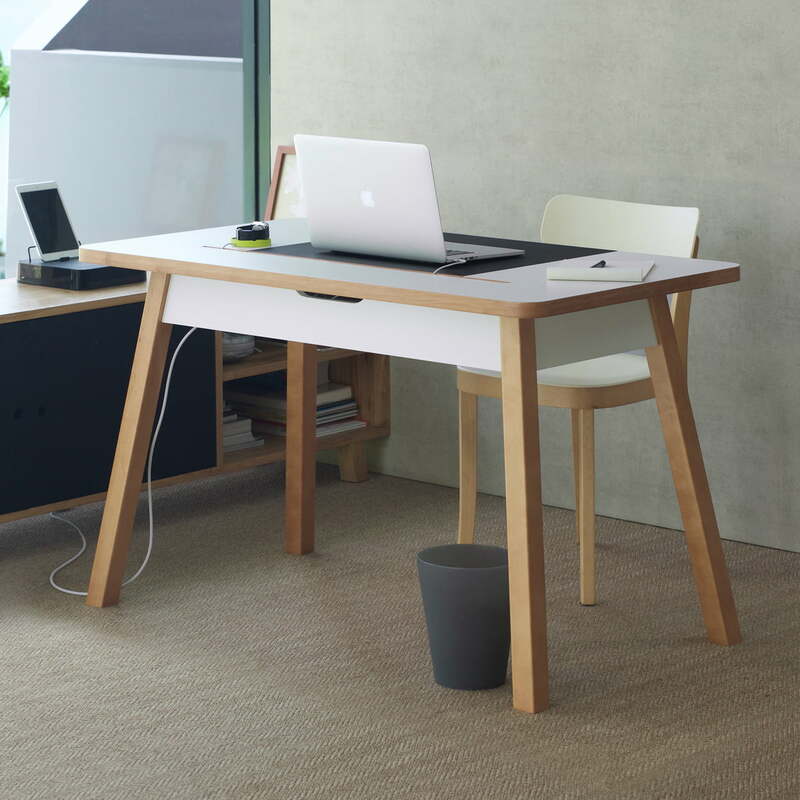 The movable desk top can be covered with a leather mat The mat changes the appearance and is included in the delivery.